Since we still had some lemongrass from our weekly bio-dynamic produce from ISIP or the Institute for Steiner’s Ideas in Practice,we decided to cook Tinola, our all-around comfort food. Saute in EVCO garlic, turmeric and/or ginger and onions. 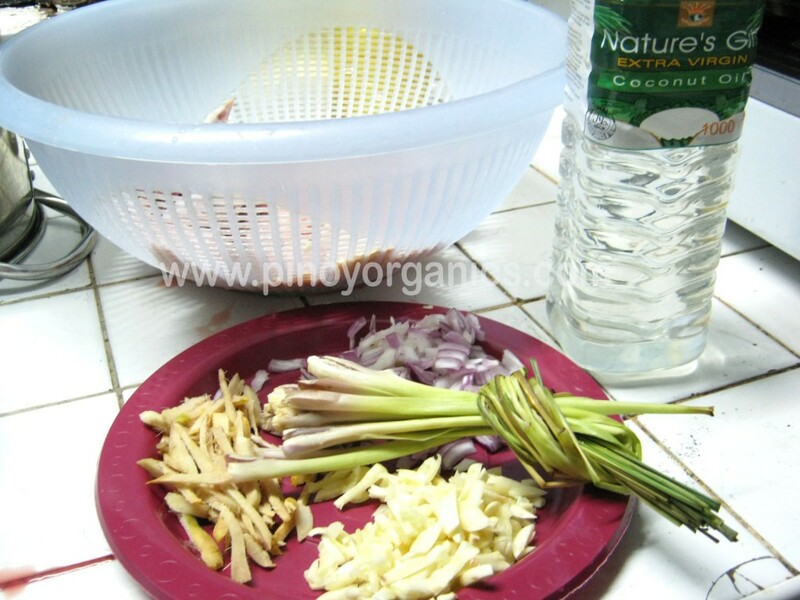 Add chicken and patis. Brown chicken for about 3-5 minutes. Add rice washing. You may add more water if you want more soup. Maintain medium heat til it boils. We usually let it simmer or slow cook to achieve a richer taste. 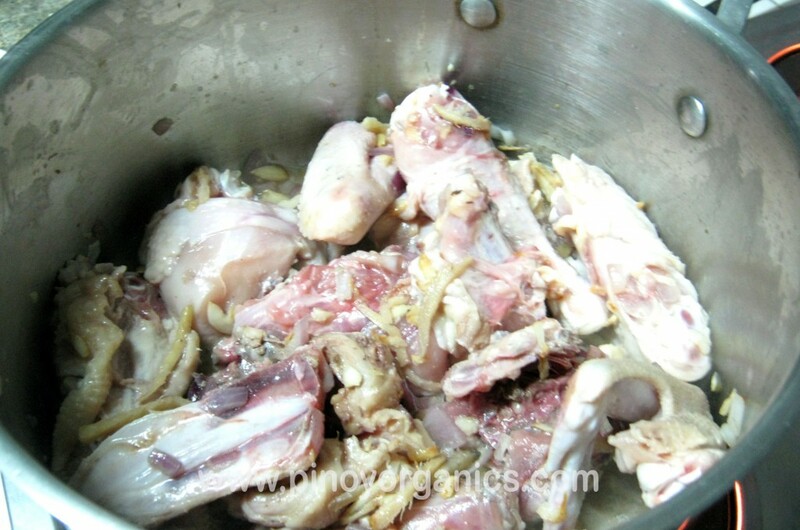 Add lemongrass and green papaya when the meat is starting to become tender. Cook for about 10 minutes. Add malunggay and turn off heat. Open casserole after 5 minutes. 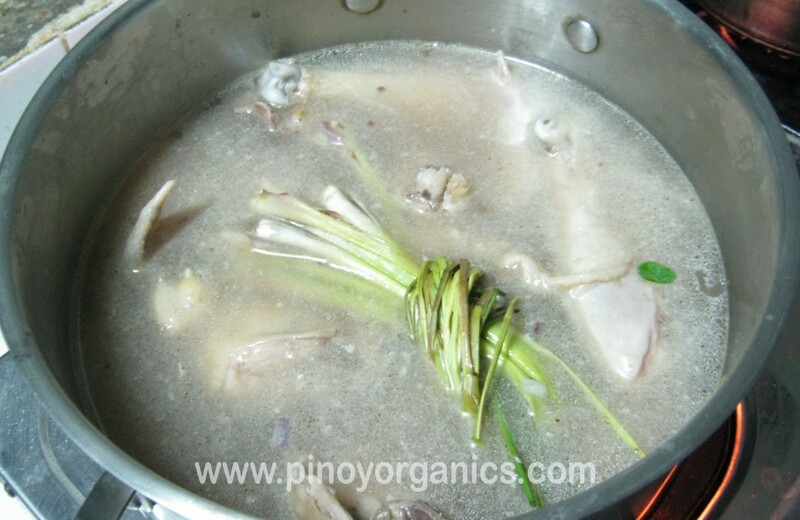 Serve hot with organic rice and an extra bowl of the soup, patis, kalamansi and a pinch of organic chili pepper flakes. 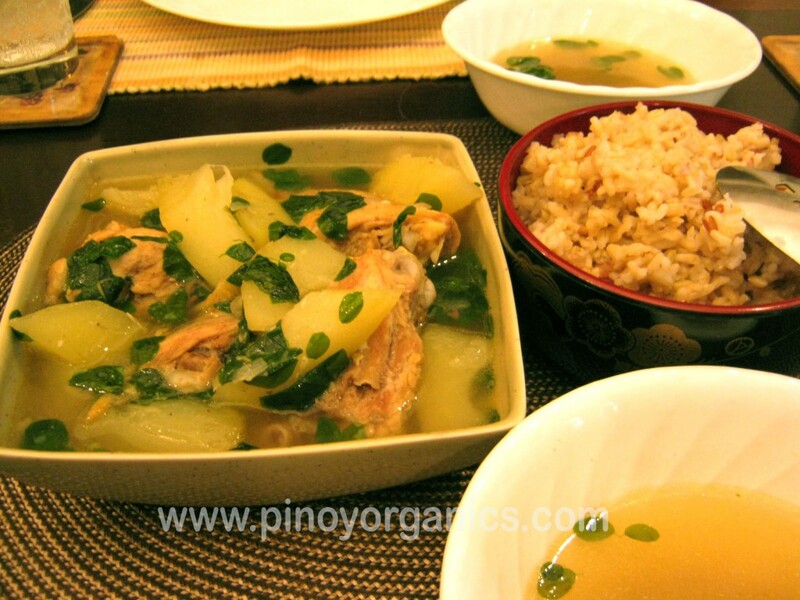 Tinolang Manok is one of our favorite Pinoy dishes. 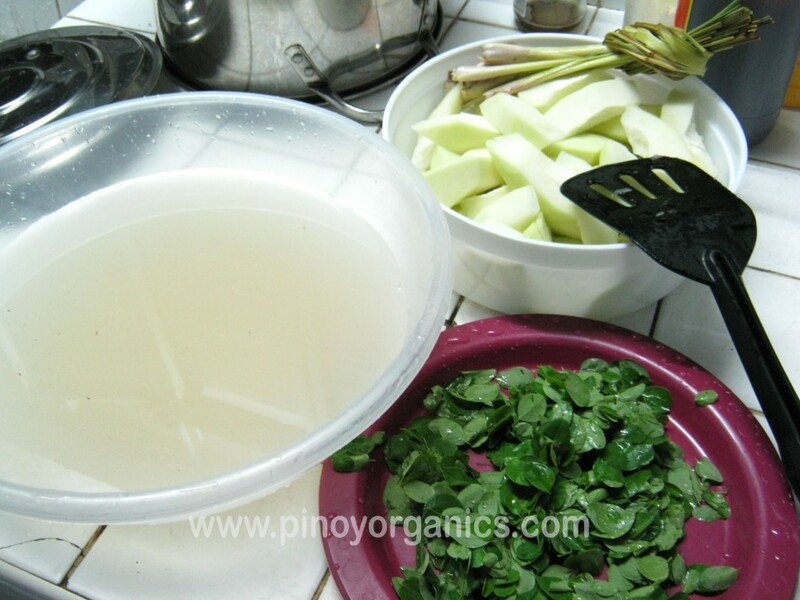 Do you have a different version of Tinola?